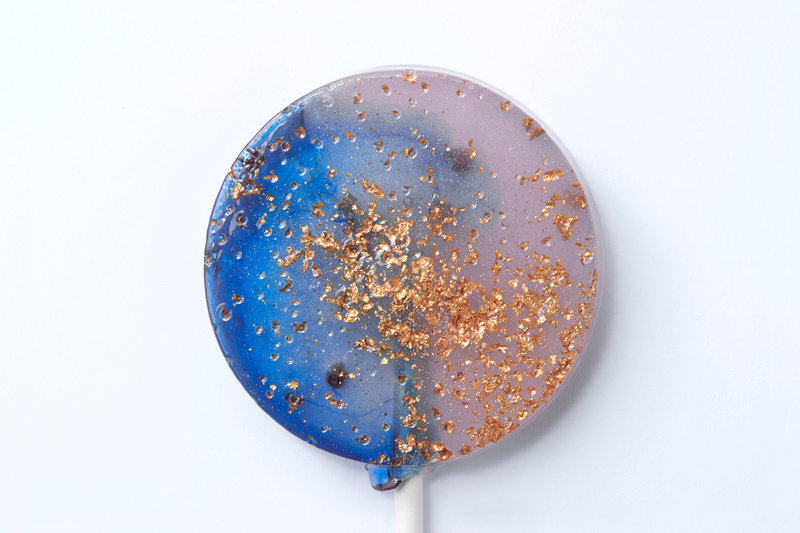 The Luna Star Dust Lollipop is out of this world! 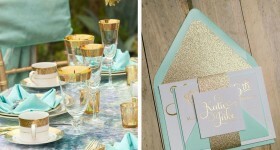 Feeling indecisive? Navy or peach? Peach or navy? Strawberry Sundae or Cornish Ice-cream? Don’t worry! We couldn’t choose either so we created these gorgeous multi-tone, multi flavoured lollipop in contrasting crystal clear navy and frosted peach tones with gorgeous sparkling decor! And the two flavours in one. 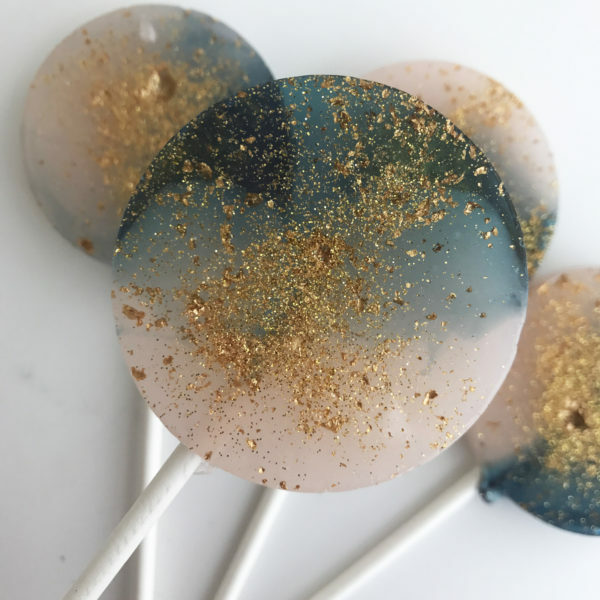 The Luna Star Dust Lollipop really does make the perfect gift for your wedding guests, party guests or as a gift for a loved one. 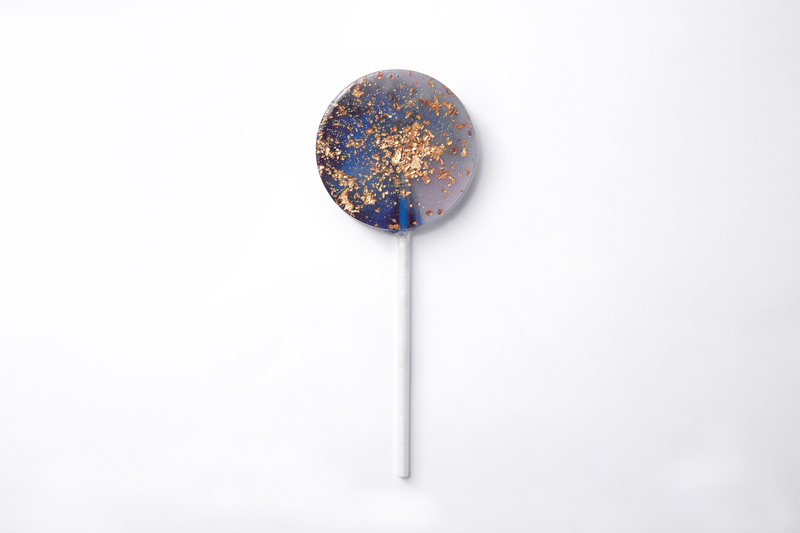 All our lollipop favours come individually wrapped in cellophane. Small blank, stamped or custom card tags are available to purchase. 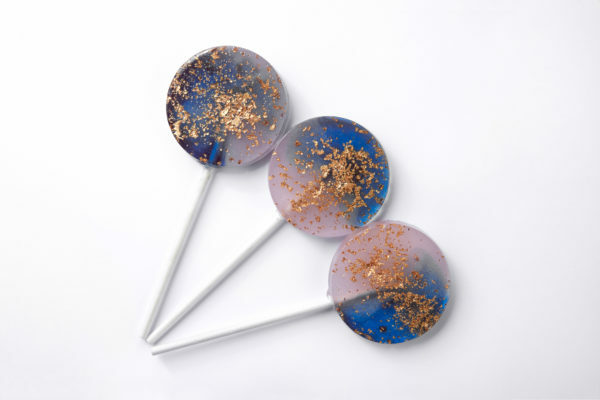 We are able to customise the lollipops to match your colour scheme. Let me know your requirements! We aim to deliver the freshest possible products and therefore post orders out no earlier than a week before they are needed (unless client stipulates otherwise). Please select your required delivery date and add any important information in the comments section on the checkout page. Made from natural sugars (cane sugar, glucose), colourings (approved colourings, acitic acid, glucose, water) and flavours (approved flavouring substances, water and propylene glycol, some may contain alcohol). Lace contains Wheat Starch, Fructose, Glucose, Thickener E440, Approved colouring, Vanilla Essence, Preservative E202. Wrapped in a plastic pouch, presented on a paper stick. We ship worldwide. Shipping calculated at checkout. Early booking essential. Use our calendar at checkout to select your preferred delivery date. We offer discounts on orders over 100 units. Discount will automatically be applied. For order over 300 units please contact us.